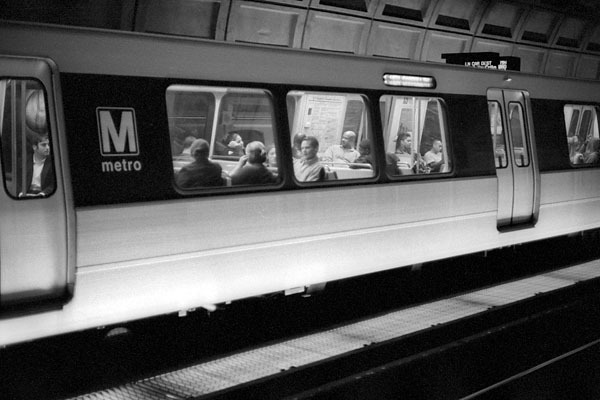 This is the Washington Metro, as many of you probably already guessed. A lot of the photos published online tend to focus on the station architecture with the arcing concrete. I liked how Christopher captured a hint of that in the photo but also got a great image of the train with its inhabitants — and made it a compelling image in black and white. Here is a link to Christopher’s photo blog, which has a collection of great images on a wide range of subjects.